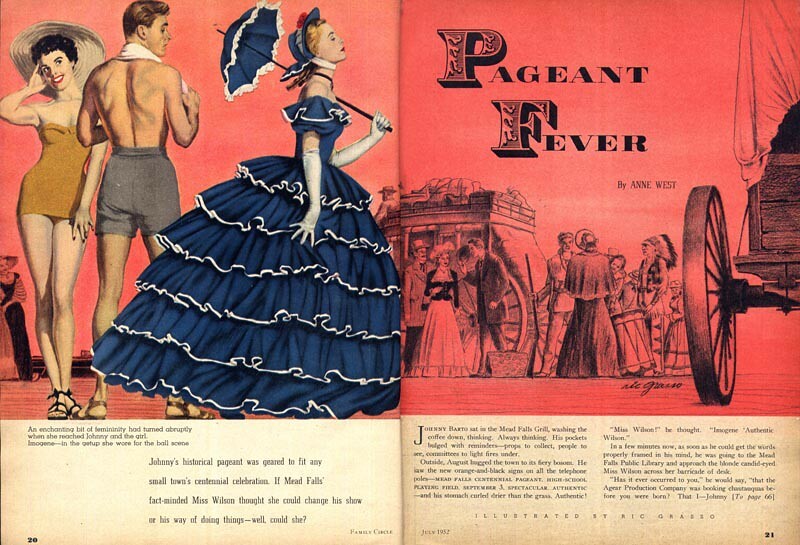 Everywoman magazine, a slim second-tier woman's magazine of the 1950s, employed an interesting assortment of illustrators whose work rarely (if ever) appeared in other publications. We've looked at one previously; H.B. Vestal, another was the subject of my last post; Gustav Rehberger (although Rehberger did regularly work for both Coronet and Esquire as well as Everywoman). 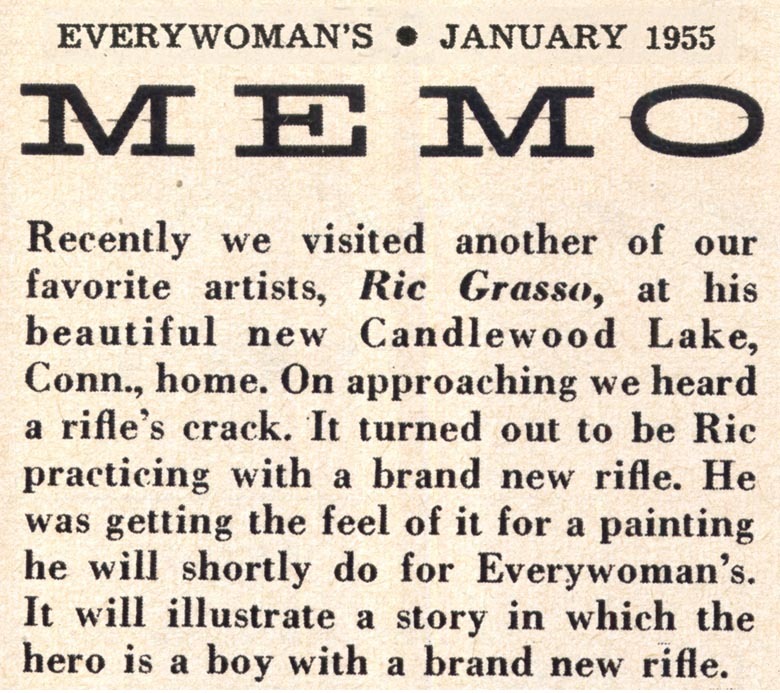 Still another was an artist named Ric Grasso. ...but rarely elsewhere. This one Grasso spread (below) from Family Circle magazine is the only work of his I've seen in another publication. 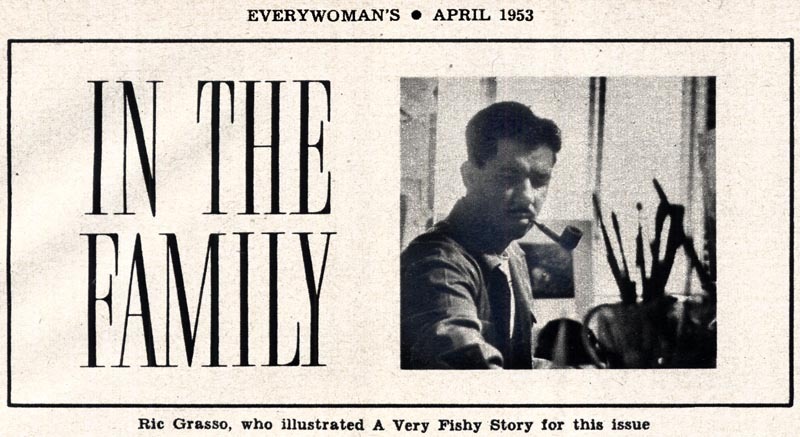 A brief paragraph in the front of one mid-'50s issue both confirms Grasso's relationship with Everywoman magazine and provides the only biographical information I've ever seen on this artist. ... or experimenting with technique to give his illustrations more visual punch. ... when a different single spread solution would likely have sufficed. 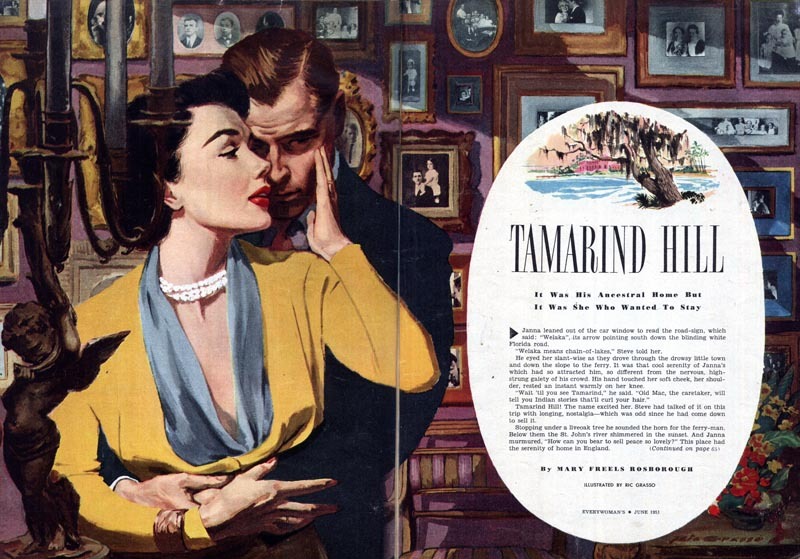 Based on the examples I've seen I'm pretty sure Ric Grasso was an admirer of Al Parker's work (as was just about every illustrator of those days). 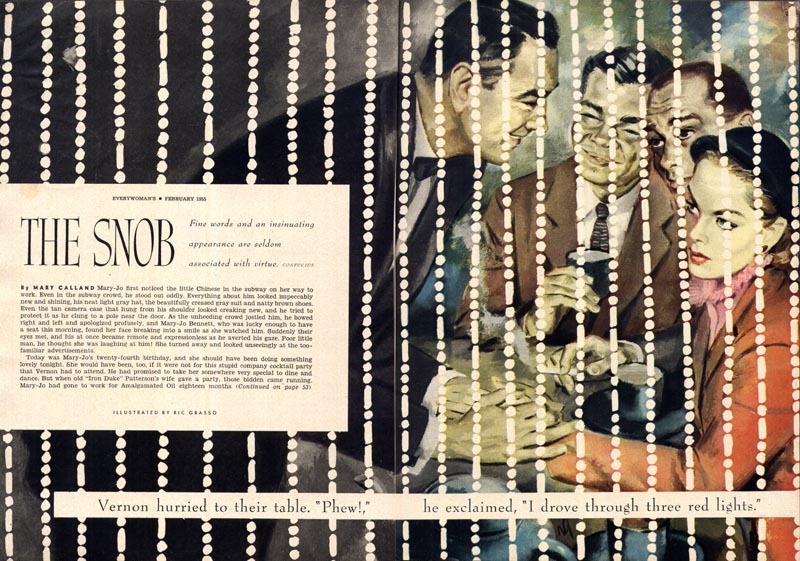 His use of flat, reductive graphics mixed with classical rendering strongly suggests he aspired to achieve 'the Parker effect' in his work. 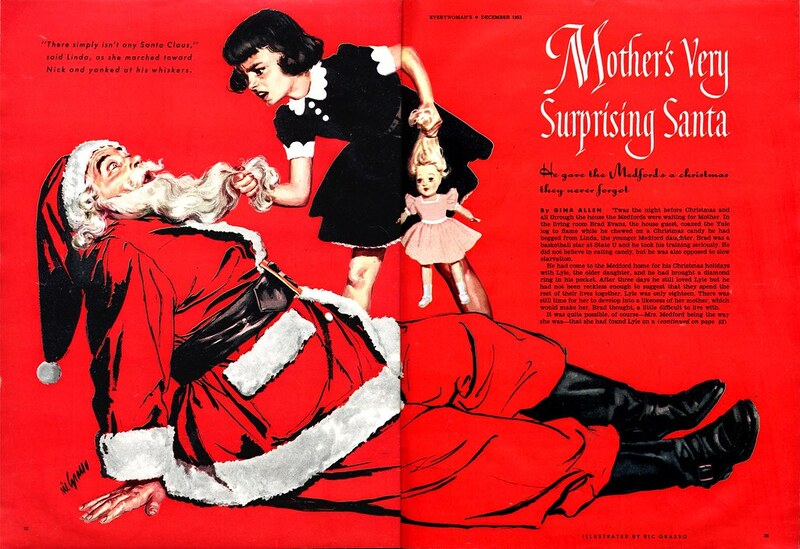 ... did not necessarily open doors to assignments from first rate magazines like Collier's, Ladies Home Journal or the Saturday Evening Post. 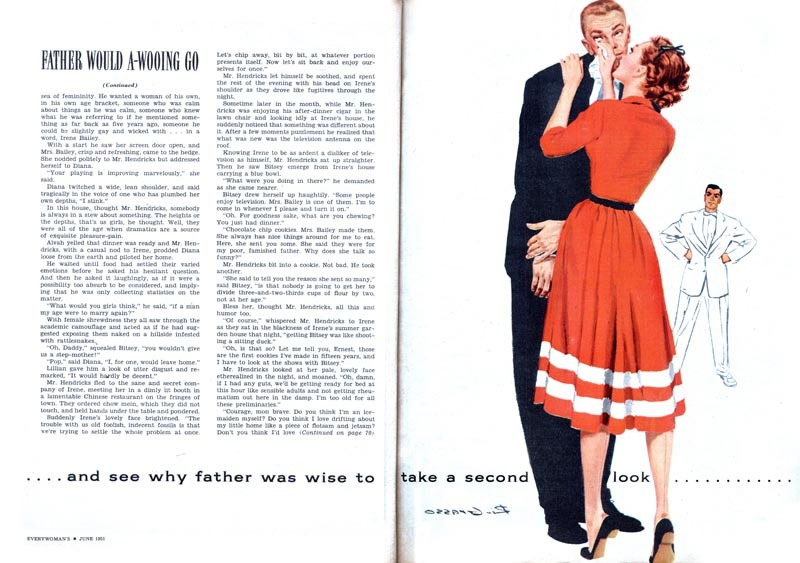 Let's hope the work he did for Everywoman brought him both creative and monetary satisfaction. 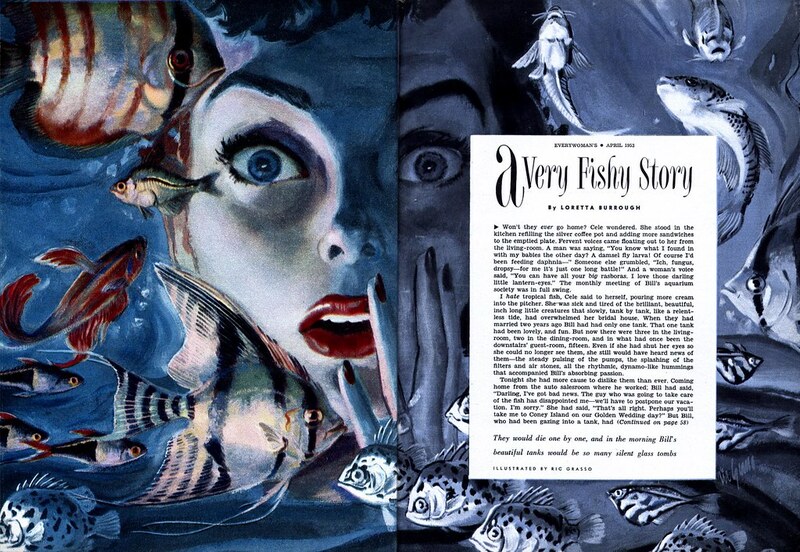 What kind of illustration work occupied the rest of his time - and what ultimately became of Ric Grasso - remains unknown. 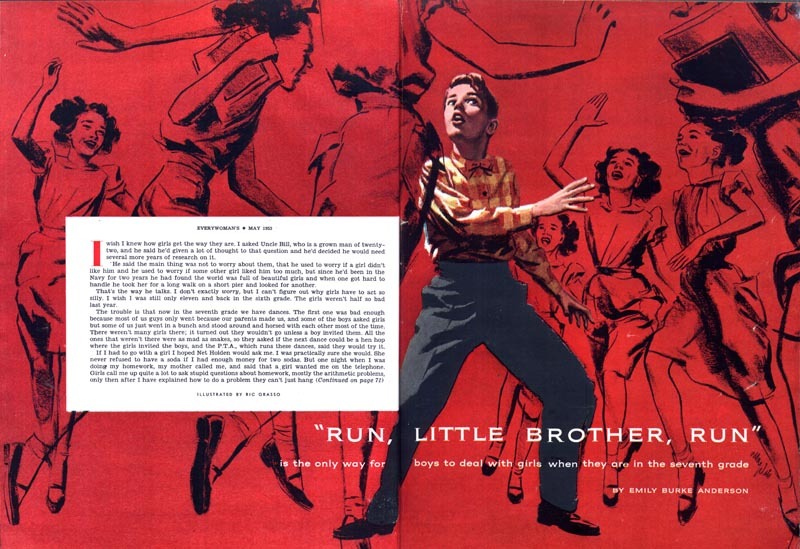 Grasso's work appeared in another issue of FAMILY CIRCLE, the January 1954 edition, illustrating Murray Hoyt's short story "A Cow and Some Chickens". 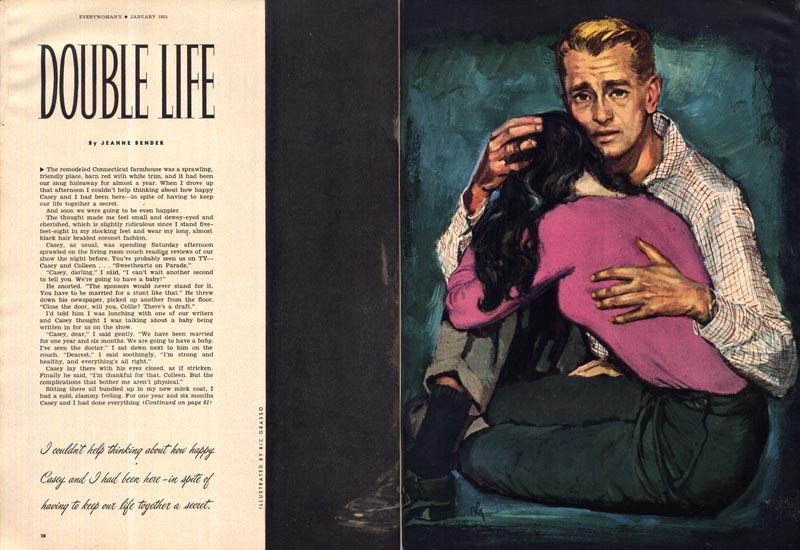 Thanks Steve -- I did find two paperback covers on Flickr by Grasso as well. 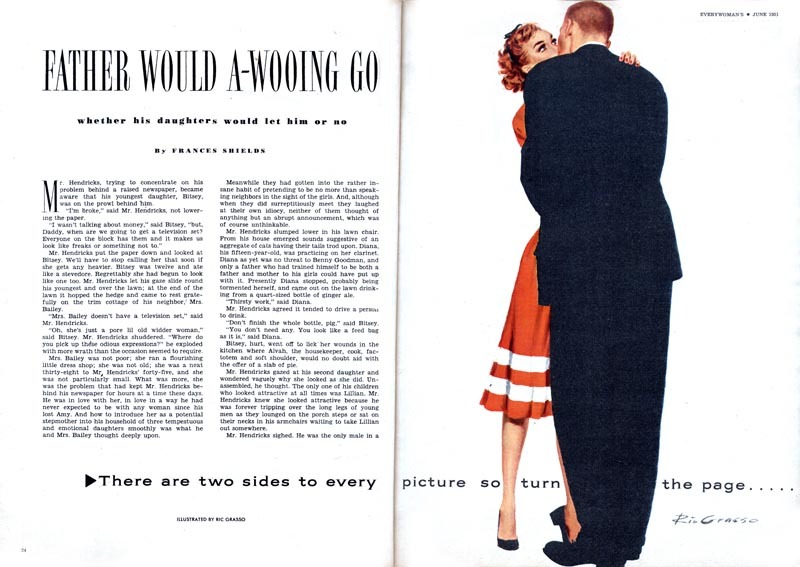 Many of the magazines had a "behind the scenes at ____" column, like the paragraph I found in Everywoman on him. Does he get any mention in the front of that issue of Family Circle? Unfortunately no. I'll email you a scan of the illustration.